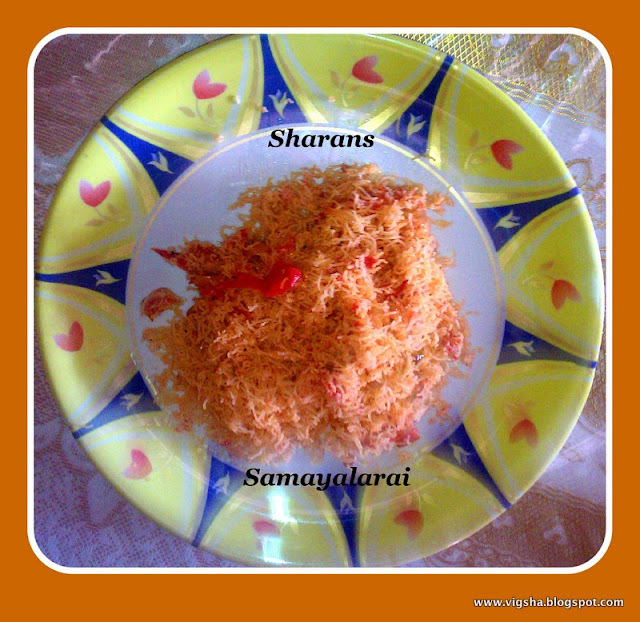 Today I am sharing my mom's recipe which is my all time fav.. I love this especially for its spicy tangy taste. 1). Cook the sevai/idiyappam as per the instructions in the packet. Keep it aside. 2). Heat the oil in a pan, do the seasoning with urad dal, channa dal, mustard seeds and curry leaves. Then add the chopped onions and saute them till they become translucent. 3). Add chopped tomatoes along with salt, turmeric powder and green chillies. Saute until the tomatoes are soft and pulpy. Then add garam masala and mix well. 4). Lower the flame, add the idiyappam and combine together. Saute for about 2minutes, until the whole mixture heats through and flavors meld. Switch off and garnish with coriander leaves. Serve hot as it is or with coconut chutney. # You can use ghee instead of oil for more flavor. 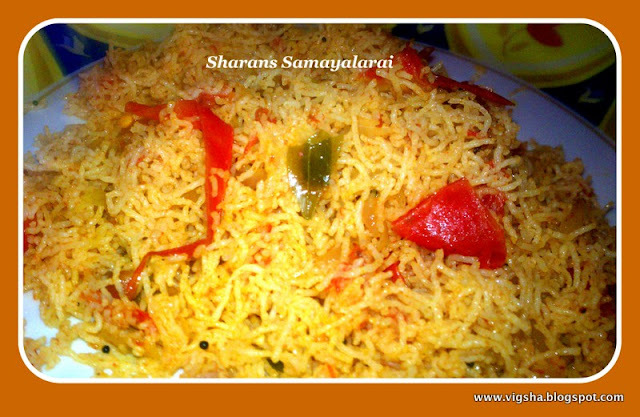 Hi Sharans, that look delicious and appetizing. I brought the idiyappam flour but yet to try it out. I love those that serve with brown sugar and fresh grated coconut.